Hay fever usually happens when our immune system overreacts to something that might not be dangerous for other people. There are many environmental factors that can trigger this allergy. Some of these include pollen, dander, pet hair, smoke, perfume and more. Now, you might start to sneeze a lot and your mouth or eyes may become extremely itchy. Hay fever is also known as Allergic Rhinitis. It is usually seasonal or perennial, which lasts the whole year. In this article, we will further discuss this condition and how can you possibly cure it. 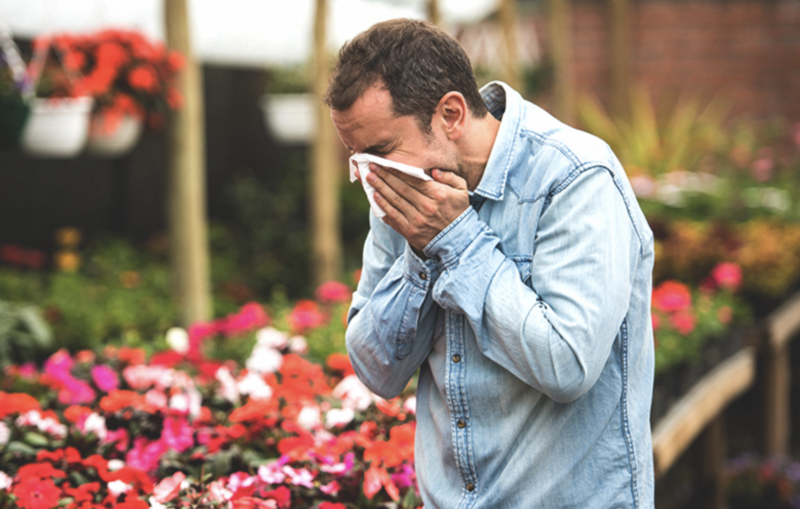 Your genes may also play an important role when it comes to hay fever. Therefore, if any of your family members had suffered from this disease before, you be at risk as well. Some of the seasonal factors include grass pollen that usually occurs in late summer. You may also look for ragweed pollen in fall, which may initiate this reaction. Cockroaches, dust mites are some of the perennial allergens. If your house has spoors from both indoor and outdoor fungi, then it will also cause hay fever. Other than that, cigarette smoke has also found to be extremely dangerous. Additionally, air pollutants can also trigger hay fever. In a single year, around 40 to 60 million Americans are affected by hay fever. The alarming situation is that the symptoms almost go unnoticed. You might have a runny nose and no medicine will seem to work. Many people will start to experience fatigue due to the possible nasal congestion. Postnasal drip is also the main symptom of hay fever. You might see swelling of your eyes. Another sign to note is the blue colored skin under any of the eyes. Your eyes will turn red and water will start to drop more often. In order to treat hay fever, you should make necessary changes in your routine. This way, you will eliminate the chance of hay fever, and might not have to visit a clinic. During the season of pollen, you should keep a pair of sunglasses. If you have pets around, you must wash your hands after patting the animal. It would be better if you buy mite-proof bedding covers. This will not limit the exposure of dust mites, but you will be able to control molds. With some medications like decongestants, you can easily control this disease. Another effective treatment method is indeed immunotherapy (allergy shots), which will significantly improve your symptoms. If by any means, you are unable to find the cure, then it is the right time to call a doctor. Most importantly, if the symptoms only worsen with time, then you should head straight to a nearby clinic. Delay in treatment may lead worsen your condition.